Four Tet is the name used by Kieran Hebden (born 1980 in Putney, London, UK) for his experimental electronic music-oriented solo efforts, to differentiate from his work with post-rock band Fridge. Hebden's solo work typically utilises samples lifted from various sources including hip-hop, electronica, techno, jazz, and folk mixed with his own guitar playing. Four Tet shares some stylistic similarities with other musicians, such as Prefuse 73, who use computer editing techniques that give the music a staccato, cut-up feel. Hebden's music is notable for its rich, organic sounds and harmonious melodies as well as for eschewing the traditional pop-song format in favour of a more abstract approach. Kieran Hebden began releasing material as Four Tet in 1998 with the 36 minute and 25 second single "Thirtysixtwentyfive" on Trevor Jackson's Output Recordings label. Later that year, he released a second single, the jazz-influenced "Misnomer". 1999's "Dialogue", again on Output, was Four Tet's first full-length album release and fused hip-hop drum lines with dissonant jazz samples. This was followed by the double A-side single "Glasshead"/"Calamine", which was to be Four Tet's last release on Output. In late 1999, Warp Records released a tenth-anniversary compilation of remixes of Warp tracks; Hebden contributed a remix of "Cliffs", the opening track of Aphex Twin's "Selected Ambient Works, Vol. II". This relatively high profile exposure attracted a lot of new interest in Four Tet from fans of electronica and IDM, genres in which the Warp brand had a preeminent status. In 2001, Four Tet's second album "Pause" was released on Domino and found Hebden using more folk and electronic samples, which was quickly dubbed "folktronica" by the media & press in an attempt to label the style (often also applied to artists such as Isan, Gravenhurst and some of Canabrism's later work). The acoustic guitar track "Everything Is Alright" is the theme music for the National Public Radio talk show On Point, produced at WBUR in Boston, Massachusetts; it was also featured in a US Nike commercial in 2001-2002 and in the Sony Bravia commercial in 2005. "Rounds" was released in May 2003. It was Hebden's most ambitious album to date, incorporating diverse samples such as the mandolin on "Spirit Fingers", and even a rubber duck on the closing track "Slow Jam". Three singles were released from the album: "She Moves She", "As Serious as Your Life", and "My Angel Rocks Back and Forth". This last single was released as an EP featuring remixes by electronica duo Icarus and Isambard Khroustaliov along with additional Four Tet tracks "I've Got Viking in Me" and "All the Chimers". An accompanying DVD featured all of Four Tet's videos to date. At the beginning of 2003, Four Tet opened for Radiohead on their European tour. A remix of the song Scatterbrain from Radiohead's latest album "Hail to the Thief" was included on their 2004 EP "COM LAG (2plus2isfive)". A live album named "Live in Copenhagen 30th March 2004" was released in April 2004 as a limited edition, available only through the Domino Records website. In March and April of 2005, Four Tet performed two shows of improvisational music, in collaboration with jazz drummer Steve Reid, in Paris and London. He also appears on Steve Reid Ensemble 2005 album "Spirit Walk". This collaboration was extended into a series of international tours, and the release of two albums, "The Exchange Session Vol. 1" and "The Exchange Session Vol. 2" over the course of 2005 and 2006. 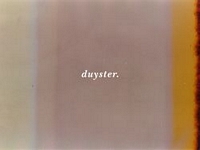 His fourth studio album "Everything Ecstatic" was released on Domino on 23 May 2005. The video for the lead single, "Smile Around the Face", features actor Mark Heap. The album brought with it another shift in style, leaving behind the breezy "folktronica" of "Pause" and "Rounds" for a darker, more complex sound. On 7 November 2005, Domino has released a DVD version of "Everything Ecstatic" featuring video clips for each track of the album plus a CD with new material. Hebden has also remixed, under the Four Tet name, tracks by a wide range of artists including Madvillain, Bloc Party, Super Furry Animals, Beth Orton, Badly Drawn Boy, The Notwist, Boom Bip, Kings of Convenience, Explosions In The Sky, Radiohead, and Doves.